Very bright with green tints. 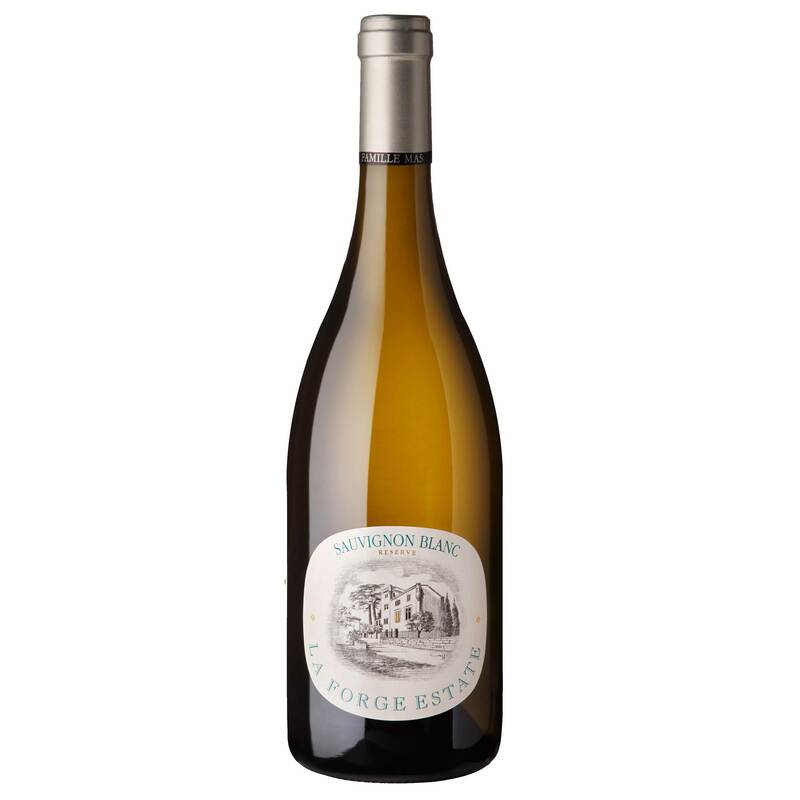 Complex aromas with asparagus and herbaceous aromas with some slightly tropical notes. Palate displays aromas gooseberry, melon and lime aromas and flavours with a tangy, light-to-medium body and a refreshing hay, grapefruit and mineral accented finish. Jean-Claude Mas has significantly grown and enhanced Domaines Paul Mas with the acquisition of several carefully selected properties throughout the Languedoc. His portfolio of estates now accounts for over 440 acres of premium vineyards, planted with 25 different varieties, including Syrah, Grenache, Cabernet Sauvignon, Merlot, Viognier and Chardonnay. Above all else, his vineyards are maintained at the utmost quality so as to yield the highest calibre grapes. La Forge Estate wines symbolize the fusion of the old and the new worlds of wine, as well as the fusion between carefully selected grapes from the best South of France vineyards and an expressive, round and aromatic style, brightened up by a subtle dose of oak barrel ageing.